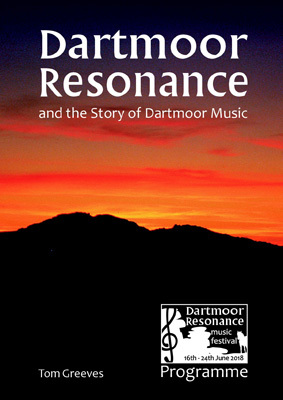 Dartmoor Resonance and the Story of Dartmoor Music, A5 size, 64 pages, full colour, written and compiled by Tom Greeves, tells the story of Dartmoor music from prehistory to the present day, as well as giving details of each Festival event, and of the composers, conductors and performers involved. The book will be a lasting legacy of the Festival and an essential Dartmoor reference work for the future. It will be published around 1st June and available for £3 + £1.50 p&p from our Merchandise page. You can find full details of the entire nine day Festival programme and buy tickets on our Events page. 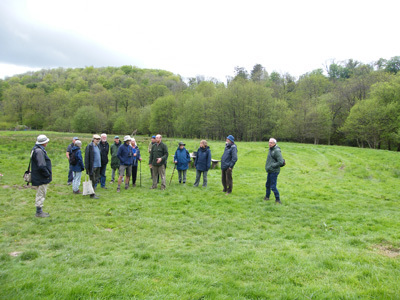 On Wednesday 9th May 2018, nineteen members congregated in the Car Parking area just inside the gates of Doug and Claire’s 45-acre woodland Estate. 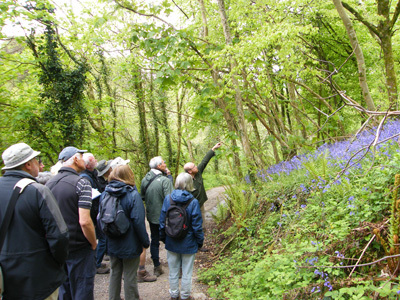 The land itself is very diverse and as Doug and one of his volunteers Tony guided us down the valley past the numerous bluebells, Yellow Archangel and varied woodland, we began to wonder what was going to appear around the next corner. Doug and Claire have struggled for several years trying hard to convince the DNPA that they need to build important structures which are vital to the day to day running of their organic pasture and mixed woodland which is approximately split 50:50. On 11th April 2018 Doug and Claire heard the news they wanted when the Planning Inspectorate issued a report on their appeal fully supporting the building of the essential Barns which they had campaigned so hard for. Our members thoroughly enjoyed the visit, and everyone was fully supportive of their valuable work.